HORWICH Harriers took a team of 22 seniors and juniors to Pontefract on Saturday for the North of England Championships and they all put in creditable performances. 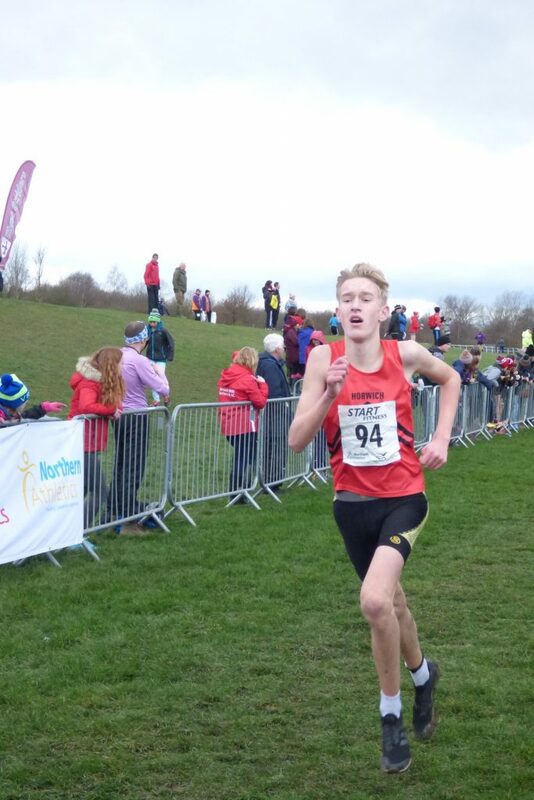 While there were no podium places for the club, the standout performance came from Lucas Milliken at under-15s level where he was 21st in a field of 200. 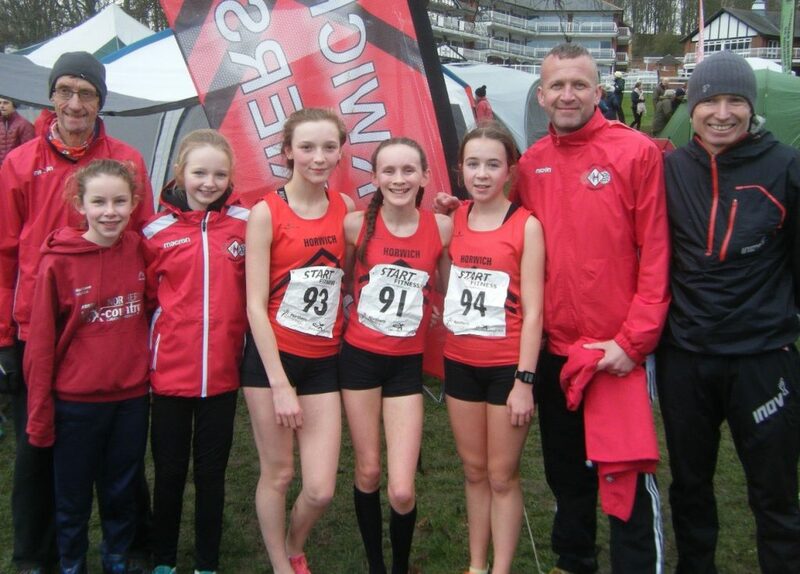 The u15 girls and boys could have got good team results with a fourth counter each, although these results and those of the u13s promise much for the Harriers going forward. For the seniors, Janet Rashleigh had a fine run that would probably have won the age category if they had them at the regional and national cross-country events. The men’s team had a good result of 17th out of 53 teams and were the eighth highest team from the North West. James Kevan had a strong run for 41st place as he prepares for the Irish trials in April for the European Mountain Running Championships. 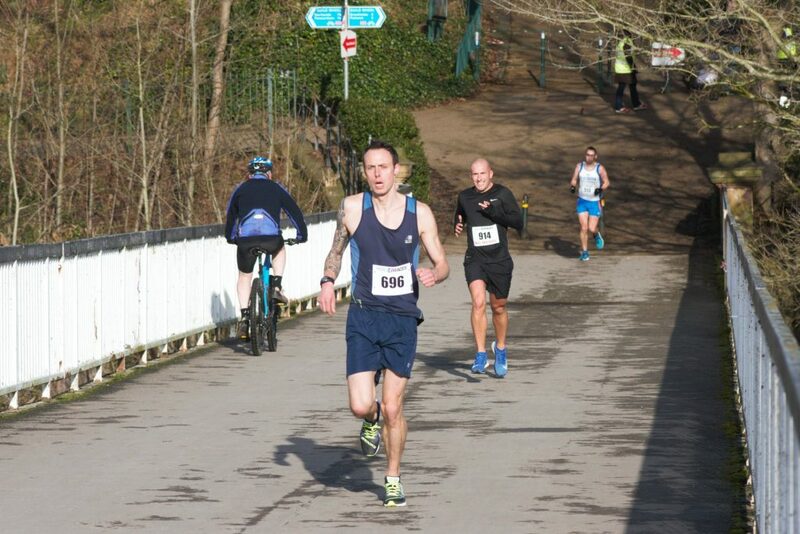 On the road, James Jordan won the Hunters 10k near Preston in windy conditions. Runners group leader Geoff Leech was pleased with his sub-45 minute result as he beat long-time running mate Neil Wilkes. Mark and Angela Kmiec braved the winds, too, at Lytham St Annes and their results were a good reward for being regulars on the runners group training twice a week. Julie Williamson, another regular with the runners group, dropped down from her usual ultra races to have a satisfying five-mile trail result at Warrington, finishing fourth in her age category. 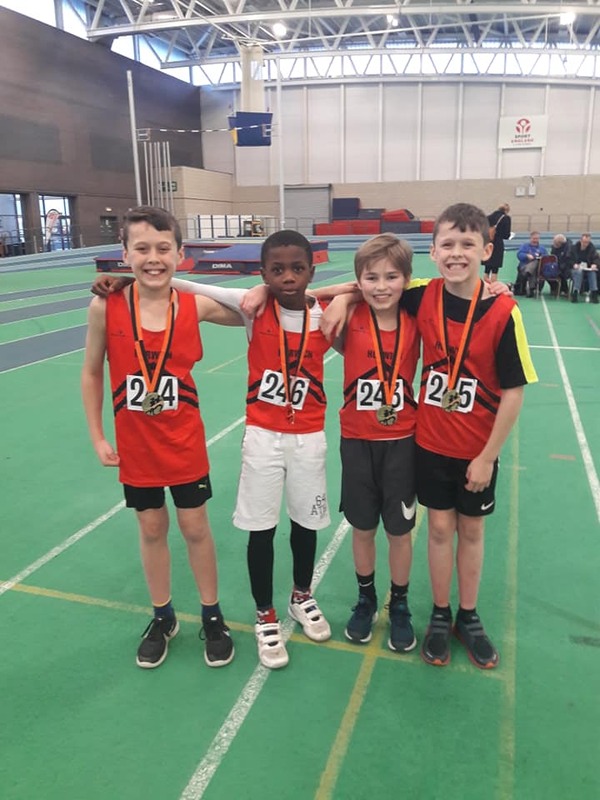 The youngest group of Harriers took part in the county Sportshall event at SportCity. Sportshall is all about fun and teamwork, developing a range of athletic and competitive skills at the same time. The u11 boys were third in the relay and Harrison Stokes won the speed bounce competition. On the fells, in the Marmot Dark Mountain event, the runners spent up to 10 hours overnight on the Lake District eastern fells with a large covering of snow in low temperatures. The event requires stamina and navigating skills – a real test of all-round mountain craft – and Mark Seddon teamed up with Steve Wilson to take second place in the medium-score event, losing by only five points to the winners. At parkrun, there were only three first places this week. Lindsey Brindle was sixth out of 500 at Worsley Woods and first woman in a sparkling time of 18mins 33secs, while Richard Howarth was first at Cuerden Valley and Killian Mooney ran a new personal-best time at Cabinteely in Ireland. 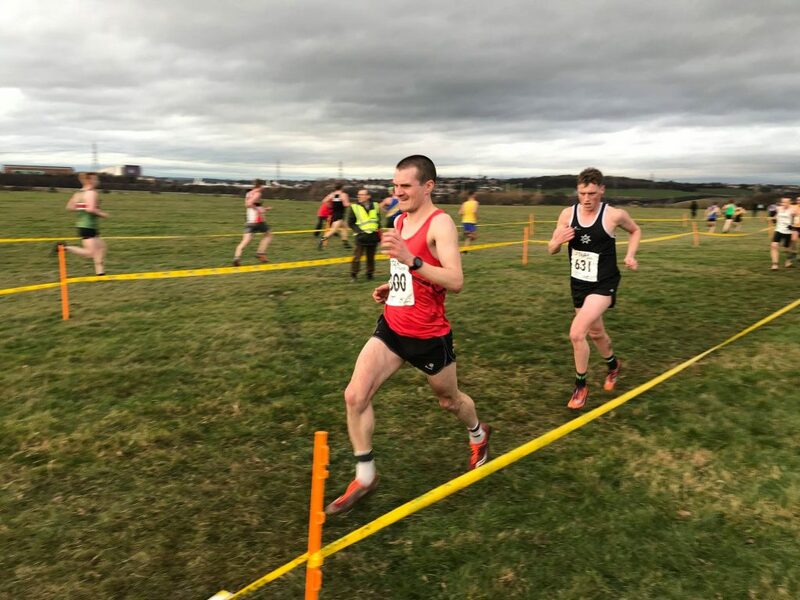 Horwich RMI Harriers results: North of England cross-country championships (Pontefract): Women – 109th Janet Rashleigh 35:02; men – 41st James Kevan 41:00, 122nd Gareth Booth 43:53, 169th Alex Fowler 45:12, 217th Alastair Murray 46:16, 328th Dan Gilbert 49:08, 373rd Marcus Taylor 50:08, 572nd David Barnes 56:59, 622nd Tony Hesketh 59:55, 691st Peter Ramsdale 1:09:04; u17 men – 69th Robert Seddon 21:55, 95th Luke Brindle 23:11; u15 girls – 64th Georgia Heath 15:34, 89th Milly Lever 15:55, 103rd Eva Baldwin 16:07; u15 boys – 21st Lucas Milliken 13:20, 66th Toby Middleton 14:00, 108th Isaac Battye 14:34; u13 girls – 68th Charlotte Wilkinson 11:53, 87th Emma Bradley 12:02, 147th Imogen Andreassen 12:47; u13 boys – 139th Ethan Isaacs 11:54; Warrington five-mile trail race – 70th Julie Williamson 43:50; Lytham St Annes 10-mile road race – 53rd Mark Kmiec 1:17:25, 302nd Angela Kmiec 1:51:43; Hunters 10k road race (near Preston) – 1st James Jordan 36:26; Marmot Dark Mountain (Lowther Castle): Medium course – 2nd Mark Seddon/Steve Wilson 9:55:14 – 530pts.